Selling your home can be exhausting. Keeping it "ready to show" for an extended period of time can be overwhelming, especially when you have little children or a demanding career. The good news is this: we have a proven system that will help reduce the time your property sits on the market and the period of time in which you have to keep your home staged to perfection. Do I Sell my Calgary Home First? or Buy a Home first? It is the question that every homeowner faces and it can create a stressful dilemma. Here's the problem: if you buy before selling, then you run the risk of owning two homes. Or, if you sell first, you could end up homeless, especially in a busy market. It's what we call the “Real Estate Catch 22”. It can keep you up at night with worry. Fortunately we have the solution. Our Calgary Home-Seller’s Guarantee Program and other equity protection strategies are the answer. You should know the options before you decide. Call for your pre-listing consultation. We will meet and go over your choices; no pressure -no hassle. A current Real Property Report (RPR) provides accurate, clearly presented, formal information about one of the largest financial investments most people ever make. Sellers who can provide a Real Property Report with Compliance from the city protect themselves from liability and provide solid reassurance to Buyers that they are not investing in future trouble. Accurate locations of buildings, improvements and boundaries of the property. The rights-of-way and encroachments relative to boundaries of the property. Any boundary problems with neighbours or the municipality. For example, they know whether the home is too close to the property line, or part of their garage is on their neighbour’s land, or vice versa. "Good boundaries make good neighbours!" In cases of dispute, your Surveyor is an expert witness in court and assumes full professional responsibility for the accuracy of your survey. Only a Real Property Report that "reflects the current state of improvement on the property" can fulfill Section 4.12 of the standard purchase contract. If decks, fences, garages etc. have been added, deleted, or changed since the existing RPR was prepared, then the seller will need to have a current RPR prepared as per the terms of the contract. The cost of the Real Property Report is a small percentage of your total investment and a reasonable price to pay for peace of mind. What Does a Real Property Report Include? A Real Property Report is a legal document that clearly illustrates the location of above ground structures, significant visible improvements and registered easements in relation to property boundaries relative to property boundaries. It takes the form of a plan or illustration of the various physical features of the property, including a written statement detailing the surveyor’s opinions or concerns. Legal description and municipal address. Dimensions and directions of all property boundaries. Date of the title search and the survey. Location and dimensions of buildings relative to property boundaries. Location and description of all relevant improvements situated on the property together with dimensions and distances from the property boundaries. Location of right of ways or easements registered on the title. Designation of adjacent properties, roads, lanes, etc. Location and dimensions of any visible encroachments onto, or off of, the property. A duly signed certification and opinion by a certified Land Surveyor. Parcel designations of adjoining lands. Travel expenses of the field crew. The size, shape and natural features of the property. The number, size and location of buildings and improvements. Availability and location of survey monuments on or near the property. An average RPR in Calgary would cost about $525 + GST. In many cases, it is more economical to update an existing Real Property Report. Most surveyors will update an RPR from their files at a fraction of the cost to prepare a new one. Average updates can cost between $300 – $400, depending on how many and how big the changes from the original might be. Sometimes one can end up paying up to full price for an update of an RPR over 10 years old. A Real Property Report does not include replacement of any property corner posts. Arrangements can be made to have property boundaries visibly marked on the ground. It is most economical to have this additional service performed at the time of the survey. Neighboring landowners occasionally share the cost because of the mutual benefit of the Real Property Report and marking of boundaries. How long is a Real Property Report valid? your title will also be shown. What does Compliance mean, and how much does it cost? Once a new or updated Real Property Report is obtained, it must be sent or taken to the City of Calgary for "evidence of municipal compliance" as required by Section 4.12 of the purchase contract. This evidence is called a "Certificate of Compliance" and currently costs under $100. If the improvements (buildings, fences, decks, etc.) on the property do not comply with the City of Calgary set-back rules, the City will advise that a Development Permit is required at about double that cost. If any improvement encroaches onto City land, then an Encroachment Agreement is required at a cost of about $500.00. The Encroachment Agreement becomes registered on the title. t have to be paid again each time the property is sold. It is possible that both a Development Permit as well as an Encroachment agreement is required. For these reasons, one is well advised to obtain the proper development permit prior to any construction work being done. 1. The House- the foundation wall of the sides of the house must be 1.2 metres or more from the side yard property line. Only 1.16 metre clearance? No problem! The City will likely round up in this case to 1.2 metres. The rear foundation wall must be at least 7.5 metres from the rear property line. 2. A shed (or outhouse) - any shed that is not attached to the house and is less than 10 square metres in size can be located anywhere on the property. A shed of any size, small or large - that is attached to the house must be at least 1.2 metres from the side property line. 3. A deck- if a deck is less than .6 metres in height, can be located anywhere on the property. The City then regards it as a patio. If the deck is .6 meter or greater in height, it must be back at least six metres from the rear property line and 1.2 metres from the side property lines. 4. A detached rear garage- must be set back at least .6 metres from the rear property line. If the garage has a maintenance free exterior such as metal or vinyl siding, stucco, unpainted cinder block etc., then it can be built right up to the side property line. If the garage does not have a maintenance-free exterior, it must be set back at least .6 metres from the side property line. The City doesn't permit eaves or eaves troughs to extend on to the neighbour's or the City's land. 5. Fences - Make sure the fences, decks and retaining walls do not encroach on to the neighbour's land. The purchaser’s lawyer may insist on an encroachment agreement because it gets registered on his title as well as the seller’s title. This becomes a serious problem because according to the purchase contract, Section 5.1(e), the Seller has warranted to the buyer that the improvements "do not encroach onto neighbouring lands. Title insurance will not solve this problem, as it does not cover fences. Can the buyer walk from the contract? Perhaps. It might take a very good lawyer to keep this one together without anyone getting sued. If the lot is pie-shaped, the odds are better than not that at least one of the fences will not be on the property line. The fence may be several feet on the neighbour's land, which gives the purchase the impression that the lot is significantly larger than it really is. An RPR (Real Property Report) should be ordered immediately upon listing the property and prominently displayed with the feature sheet so there is no doubt where the fences are located, etc. It may very well prevent lawsuits later. An RPR with Compliance is also a handy tool in measuring the size of the house as well as the lot. Delaying obtaining an RPR may very well cause problems further down the road, when you find out too late that there is an issue. The above information is provided as a guideline only and is not intended to give legal advice. Please consult your solicitor for his/her opinion on your own particular situation. The Alberta Land Surveyor’s Association has a very comprehensive answer to this on their web site . What is the difference between a Surveyor’s Certificate and a Surveyor's Real Property Report? Real Property Reports first came into existence in Alberta in October of 1987. Prior to that date, we had survey certificates that didn't satisfy the requirements of a Real Property Report as set out in paragraph 4.12 of the Alberta Real Estate Association's current Residential Real Estate Purchase Contract. How is a Real Property Report prepared? A registered Alberta Land Surveyor is the only individual who can legally prepare a Real Property Report in Alberta. A valid Real Property Report must bear the original signature and permit stamp of the Alberta Land Surveyor. Search the title of the subject property. Search all pertinent encumbrances registered against the title of the subject property. Search all plans related to the location of boundaries of the subject property. Perform a field survey to determine the dimensions of the property and location of improvements. It will be necessary for the Alberta Land Surveyor to access property markers on the subject and nearby properties. Prepare a plan (diagram) reflecting the results of the field survey and title research. Picking an agent is one of those critical issues that can cost or save you thousands of dollars. There are very specific questions you should be asking to ensure that you get the best representation for your needs. Some agents may prefer that you don’t ask these questions, since the knowledge you’ll gain from their honest answers will give you a very good idea about what outcome you can expect from using them as an agent. And let’s face it - in real estate, as in life - not all things are created equal. Hiring a real estate agent is just like any hiring process - with you on the boss’s side of the desk. It’s critical that you make the right decision about who will handle what since this is probably the single largest financial investment you will ever make. 2. What is your company’s track record and reputation in the market place? It may seem like everywhere you look, real estate agents are boasting about being #1 for this or that, or quoting you the number of homes they’ve sold. If you’re like many homeowners, you’ve probably become immune to much of this information. After all, you ask, "Why should I care about how many homes one agent sold over another. The only thing I care about is whether they can sell my home quickly for the most amount of money." Well, because you want your home sold fast and for top dollar, you should be asking the agents you interview how many homes they have sold. 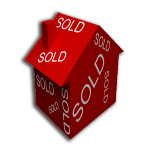 I’m sure you will agree that success in real estate is selling homes. If one agent is selling a lot of homes where another is selling only a handful, ask yourself why this might be? What things are these two agents doing differently? You may be surprised to know that many agents sell fewer than 10 homes a year. This volume makes it difficult for them to do full impact marketing on your home, because they can’t raise the money it takes to afford the advertising and special programs to give your home a high profile. Also, at this low level, they probably can’t afford to hire an assistant, which means that they’re running around trying to do all the components of the job themselves, and allow may allow the service may suffer. 10. What happens if I’m not happy with the job you are doing to get my home sold? 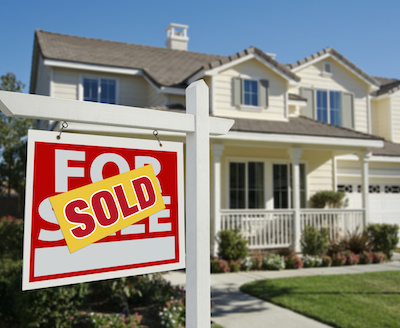 Knowing what your home is worth is important information to have if you are thinking of selling. This is especially important in Calgary's real estate market.Have you been wondering, "what is my home in Calgary worth?" Perhaps you're thinking of selling, or maybe you're just curious. Using information that you provide us about your home, we will conduct a thorough comparative market analysis by searching the dataase of all homes listed or sold in your area. With this current market data, we will be able to determine what your home might sell for if you decided to put it on the market. The Over-The-Net Home Evaluation is a great way to get started planning your move. We will give you a general idea of your home's value so you can decide if the timing is right. Then you can decide if you want to go on to the next step. If all indicators are good then you might be ready for a thorough detailed Evaluation of your property. In order to complete this second stage evaluation we would need to view your home and accurately determine it's value. Rob's twenty years of experience ensures that your evaluation will be accurate. There is no cost or obligation for this valuable service. To get started we need your contact information so that we can provide you with our results. Secondly, fill in as much detail as you can about your home's features so we can be accurate as possible with your evaluation. Our goal is to have a response to you within 24 hours. Pre-Move Checklist & Rob’s tips. You will have to pre-arrange for natural gas, electricity and city water and sewer services accounts. Utility prices fluctuate with supply and demand in the market. If you choose a flex plan then you get the lowest rate “at the time”. If you choose a fixed rate plan then you have the peace of mind of knowing what you will pay. With gas billings it appears that most years a consumer would be best to go with a fixed rate starting before the heating season and then switch to the variable rate in the early spring. Electricity would be the same with the exception that it maybe advantageous to go with a fixed rate over July and August since if we have a hot summer air conditioning can push electricity rates up a bit. I like EnMax since you can arrange both natural gas and electricity through them but they are also the billing authority for the City of Calgary. So with EnMax the three charges come on one invoice. Also EnMax allows for almost immediate changes in your rate plans once in any 30 day period. They post rates on the first of the month for that month so you can check the rates and decide if you want to switch plans. This sight has an excellent cost comparison tool. Check the policy of your bank regarding property tax. Some lenders prefer to pay property taxes on your behalf. If you are managing the account yourself then you are able to pay annually or monthly through the T.I.P.P. program. If the previous homeowner was on TIPP then you can assume the account. If not then you can establish a new account. Keep in mind that there is typically an adjustment. The billing cycle is based on the calendar year and payment is due by June 30th. If you are assuming a monthly account it will be setup do that all of the taxes are paid by June 30th. Contact the City of Calgary and/or make a T.I.P.P. online application to find out what the adjustment amount will be. Note that is you are a seller and your existing tax account is paid by T.I.P.P. be sure to put a stop payment on the automatic withdrawal. It is not uncommon for the city to continue withdrawing from accounts after a move. If you will have a mortgage on your new home you need to consider mortgage insurance. You should compare the advantages and differences in regular term insurance to the mortgage insurance that lenders offer. When purchasing a home it is a good time to re-evaluate your personal insurance situation. Lenders offer mortgage insurance but that is not always the best product for your needs. It might make sense to consider a term policy that does not depreciate with your mortgage balance and that will not be canceled if you decide to move again in the years ahead. Don’t forget to update your driver’s license, vehicle registration and insurance. You have only 14 days to have your driver’s license updated. You will not have a license as photo ID for about 2 weeks after you make the change at a registries office. If you are purchasing a home and either placing or assuming a mortgage, you will be required to provide "Proof of Insurance" to your lawyer, in order to have possession - so make arrangements with your insurance company to get a copy of the "Cover Note" to your lawyer. Do not leave this until the last minute since your company may require a copy of the MLS sheet and specific details about the house. Not having proper insurance can delay your closing. Contact your lawyer approximately two weeks after the conditions have been removed from your offer to purchase agreement. If you have not met, introduce yourself and confirm that their office has received copies of all documents. Two weeks prior to your move-in date call your lawyer again if you have not heard from him/her. You will need an appointment to sign your transfer and mortgage documents. 3-4 weeks before your move, tour your current home and decide which items should be discarded or donated to charity. Consider a garage sale. Approximately 2 weeks before you move, try drawing up a floor plan of your new home. To make moving twice as easy, decide on your furniture placement now. If you have children, consider arranging for a baby-sitter for moving day. • Empty gas from lawn mowers, etc. • Box weight should not exceed 60 lbs. Mail forwarding is for a limited time period so be sure to inform your important contacts within the rime period. Possibly transfer bank accounts and order new cheques if required. Mortgage Companies - if you own revenue property. If you have children in school, inform the school(s) of your move and make sure your children's records are forwarded to their new school(s). Many of these will vary depending on the specifics of your transaction. Mortgage interest adjustments (check with broker, lender or lawyer) Less then one mortgage payment. If selling the penalty can be 3 months interest or interest differential whichever is greater. Moving fees for kennels, sitters, etc. Schedule and get estimates from moving companies early. The busiest times for movers are at month end. If you are able to avoid that time you may get a reduced rate. Last last weekend of June is the very busiest time.